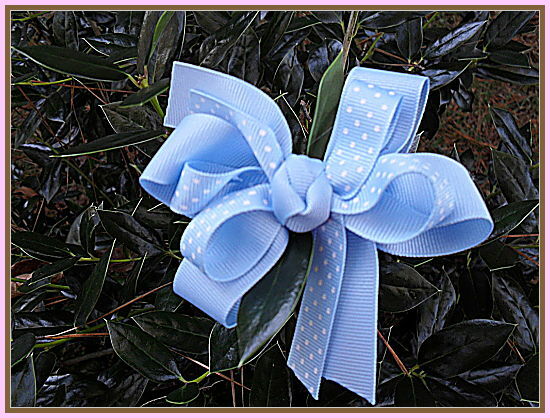 Solid blue ribbon to compliment the blue with small white dots ribbon on front of bow. Beautiful for your Spring collection in 2011. Amelia's Bows offer you the convenience of getting hair bows and embroidery in one stop. Hair apparel and embroidery clothing needs for all occasions and ages.